With an experience of over 16 years and after treating many patients from over 30 country Sancheti Hospital has made a remarkable mark on International Patient Services in India. Being a leading institute for Orthopaedic and rehabilitation in Asia pacific, Sancheti hospital has made an impact on many lives. Making quality orthopaedic healthcare services available and having all sub specialties of orthopaedics accessible under one roof is what Sancheti Hospital has achieved. 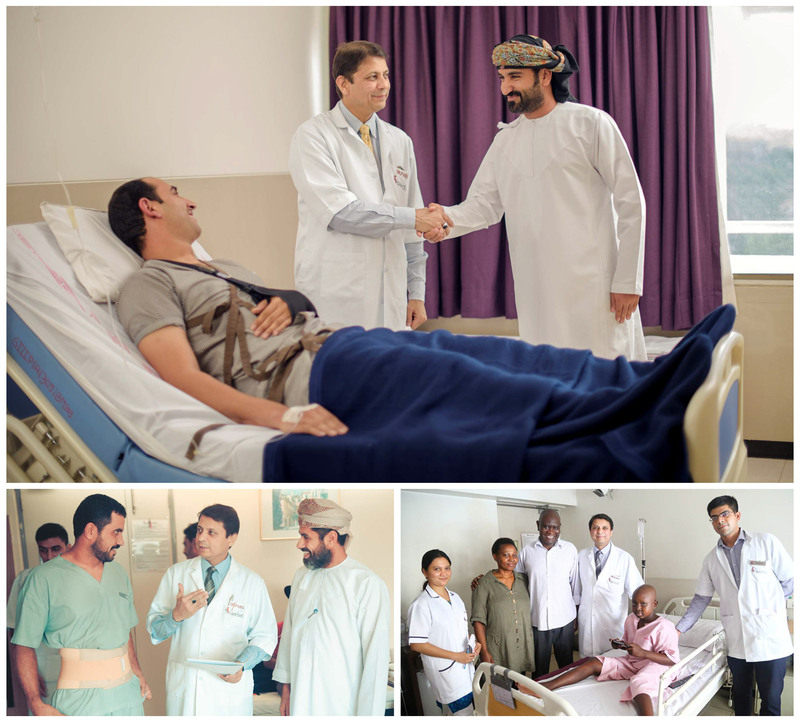 With regular OPDs in Gulf & Central Africa region, thousands rely on Sancheti Hospital for being their healthcare partner. First overseas, patients sends their request to overseas team via email and within 24 Hours patients receives the Diagnosis, Treatment line, Treating Doctor profile, Estimate cost, length of stay required in hospital and country based on reports shared. We assist our patients from overseas, in attaining visa, booking flights; manage their transportation from Airport to the hospital and their local transport as well. Keeping in mind they are far away from their home, we ensure to give them homely feeling by providing their preferred food and giving them utmost attention and care. Many of our International patients have liked Pune because of its environment, cultural heritage and compassionate people. Many patient have preferred Pune because of climatic conditions which are favourable to the recovery as compared to extreme weather in many metro cities in India. Right from the entry of the patient in the country till patient leaves the country Sancheti team of full time translators accompany patients to make life easier for them. Sancheti cares for patients and it resonate with International patients too. Services like booking flights, Hotel,cabs, exchanging currency and many more such elements make patient journey with Sancheti a walk in the park. For obtaining medical visa in India, patient needs to send passport photocopy to our International Patient Services team. Invitation letter for the medical treatment will be sent to concerned country embassy within 24 Hours. Thereafter, patient can get visa shortly. Just let us know your dates of travelling and we would do the rest. Our International patient services executive will book cab, hotel, Doctor Appointment for patient and will accompany patient right from the Airport. After arriving in the hospital our translators will accompany patients to the Doctor appointments. Patient gets admitted if he needs an admission and till the discharge specially trained staff looks after all International Patients. During discharge our International Patient Services executive will assist in hassle free discharge. Preparing discharge documents, medical reports and dropping patient back to Airport happens seamlessly. After patients safe arrival in their country, Sancheti supports patients recovery by solving their problems, keeping a tab on their recovery and also by clarifying all patient queries.